New advances in façade technology are enabling architects and developers to move away from conventional glass and aluminium curtain walling to incorporating innovative designs using alternative materials and complex composites. This, coupled with tighter safety and energy regulations, has created demand for façades that make buildings energy efficient, safe and sustainable, while at the same time displaying design statements. He says new technology is being introduced into the façade market all the time — composite framing members, smart glass, active façades and even 3D-printed façades. Agnes Koltay, CEO of Koltay Façades, says one of the most recent trends worldwide is implementing free-form geometry with more ease, even with materials that are traditionally manufactured flat, such as glass or stainless steel. 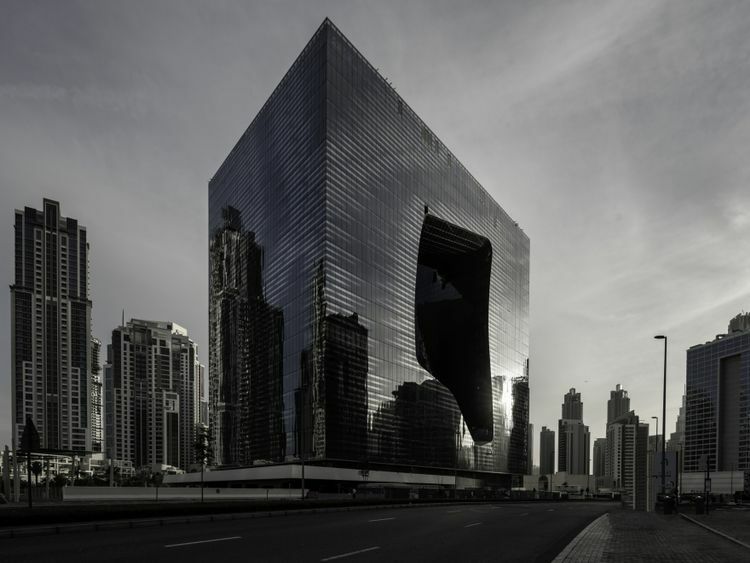 Two good examples are The Opus and Museum of the Future in Dubai. She says the key here is using computer instructed manufacturing methods, where repetition no longer equals cost efficiency, “because for the CNC machines it does not matter if they receive the same file 100 times or receive 100 different files as production parameters”. Koltay says the technology behind performance coated glass products has also evolved over the past two decades. “These coatings are getting more and more efficient; we do not need to compromise on limited colour range, strong colours or limitations in further glass processing such as glass tempering,” she says. The high-rise façades construction is always evolving with new types of materials and the approach to make sure these are compliant to regional codes and standards. Sreenivas Narayanan, façade specification and compliance officer at Siderise, says it’s important to consider from the outset how to detail for a good fire and acoustic performance in façades. “We also need to think about a change of use — can we future-proof buildings so they can evolve often from commercial to residential over time or vice versa?” says Narayanan. Another trend, Koltay says, is to not only save, but also create energy with the building envelope through technologies like photovoltaic panels and wind turbines. “However, while the opportunity appears attractive, the facade and roof area usually prove to be too small to bring significant amount of energy production,” she says. Aurecon’s Daniels points out that solar technology continues to improve and new discoveries in materials technology, which can harness the sun’s energy, is rapidly bringing us to the point where the efficiency of the solar cells is at the point where these products are commercially viable. “If we can then make sure that the materials used to manufacture the solar cells are not harmful to the environment, we have a truly winning combination,” he says. Industry experts agree that fire safety should always be the aim of all developers, architects, engineers, contractors — and even suppliers. Given that a building is a complex system integrated from many components, Koltay says fire safety needs to be considered at every level of material selection, assembly, installation and not only for façades, but electrical systems, interior fittings; and the fire alarm and fire suppression systems maintained regularly. Robinson points out that the biggest topic today is the propagation of fire through the spandrel areas; fully tested single part compartmentation assembly systems tested to EN 1364-4 are mandatory and a prerequisite for glazed buildings. Thanks to the updated Al Safat Green Building Rating in Dubai and Estidama in Abu Dhabi, he says building façades need to be thermally efficient to reduce the cooling loads required in tall buildings. The UAE Fire and Life Safety Code is leading the industry standards globally, says Narayanan, but he says the improvement will have to come from the implementation of these codes at every level. Robinson agrees that the need of the hour is awareness and further research and development. “We as manufacturers need to have more dialogue with the authorities to promote awareness of safer façades, use of tested systems and invest in research and development to develop more sustainable, efficient and code-compliant products,” says Robinson.